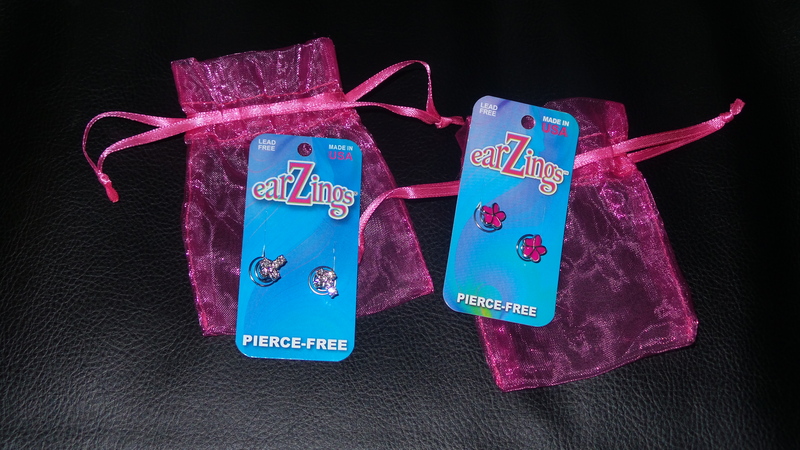 EarZings are pierce-free earrings for girls of all ages. My niece is 7 1/2 and does not have her ears pierced and she keeps saying she wants eats so when I seen that the EarZings do make your ears look like you have them done I knew she was going to go crazy over them. The EarZings are very easy to put on all you have to do is remove the EarZings from the card that they come on. Hold it by the cute little charm ans stretch your earlobe out just a little bit and slide your ear right in. She said that the EarZings are comfortable to have on and do not pinch her ears at all. But she also said sometimes they do make her ears a little red if she keeps them on to long or sleeps with them on.